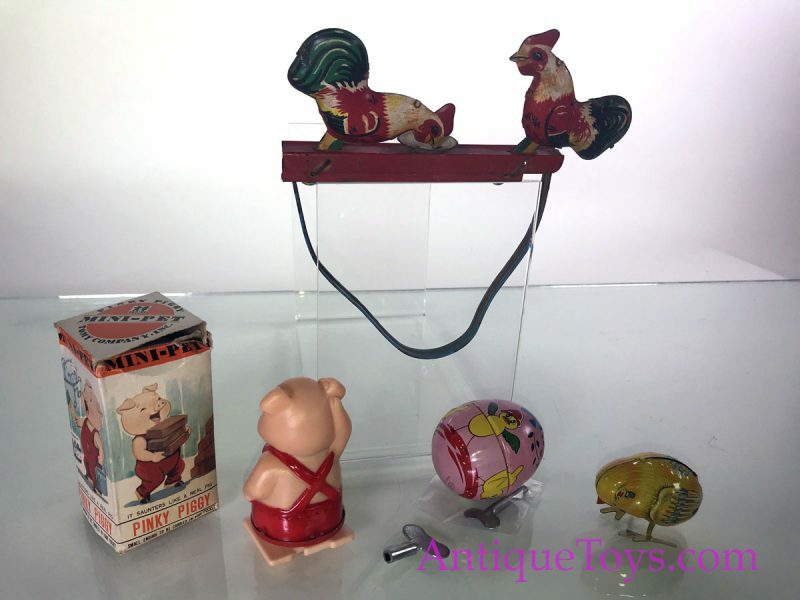 Our farm toys are just simply fun. They are inexpensive, but well executed. 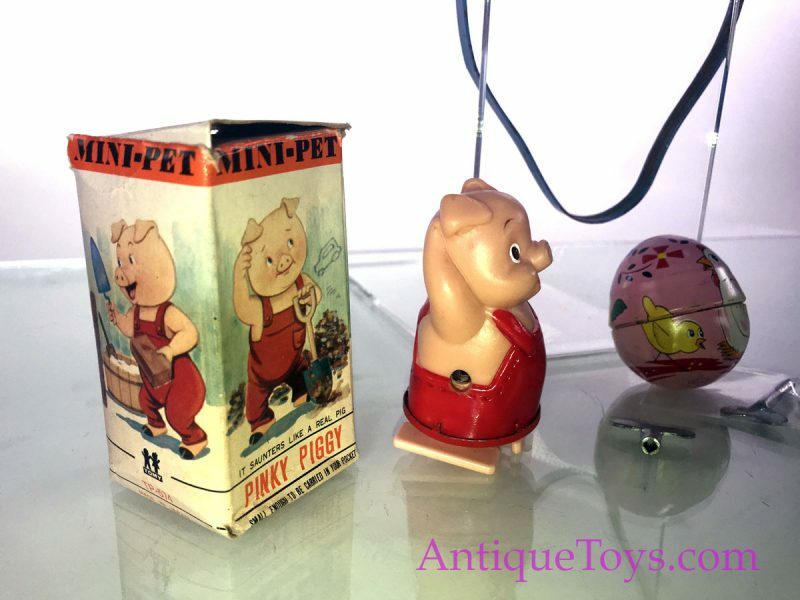 The first is a Tomy windup toy that reminds us of the “Three Little Pigs” nursery rhyme. 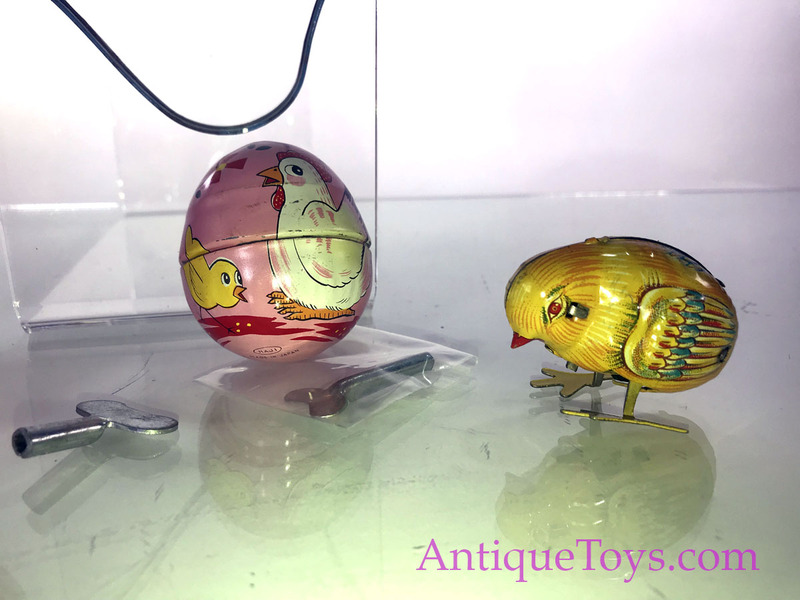 Then we have an Easter tin toy chick that fits inside the Easter Egg. It comes with a key. 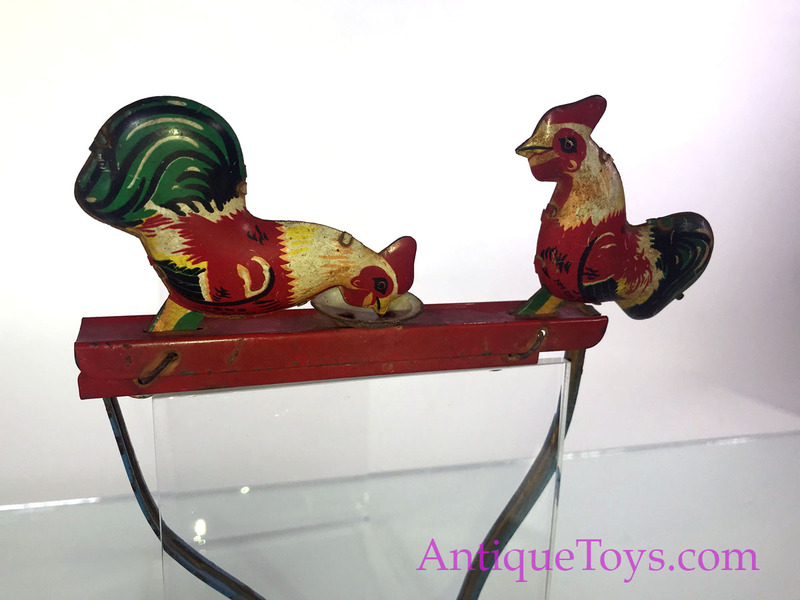 Finally, we get a set of Roosters that peck away as a kid squeezes the handle. 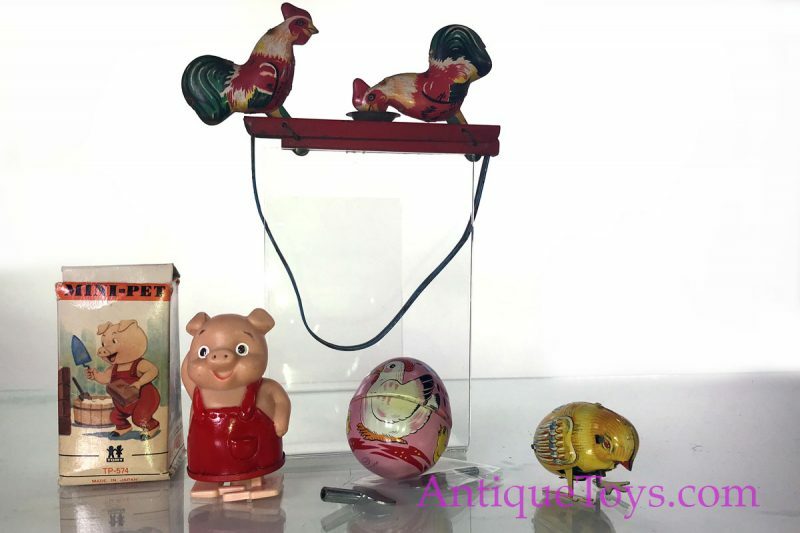 The pig winds up well and works once the key is pulled out. It is near new old stock. Then the pecking roosters work well too, no issues.